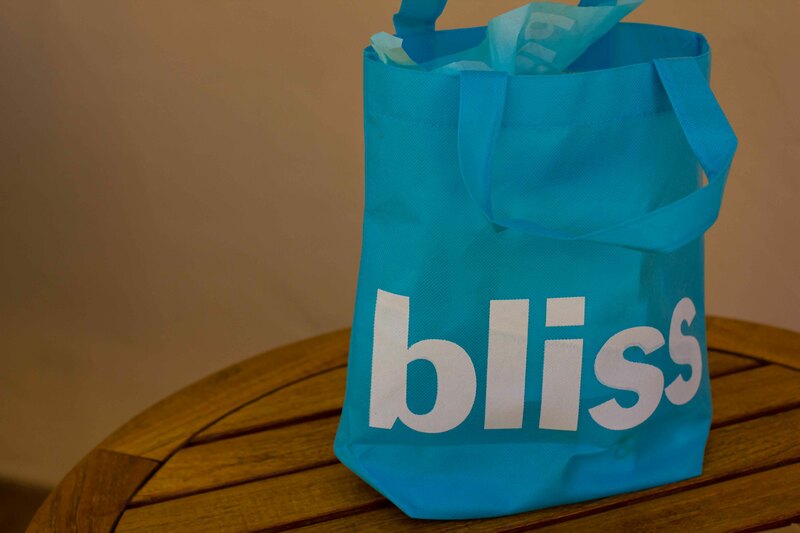 Friday 3:00pm – A wonderfully relaxing visit to the Bliss Spa at the W Hotel in Scottsdale. Although the spa amenities were only ok, my Head to Glow treatment which features their Triple Oxygen facial was one of the best I’ve ever had. Leaving with a bag full of goodies only helped to enhance my experience at the spa. 5:00pm – A few hours until dinner and I needed a treat to tide me over. 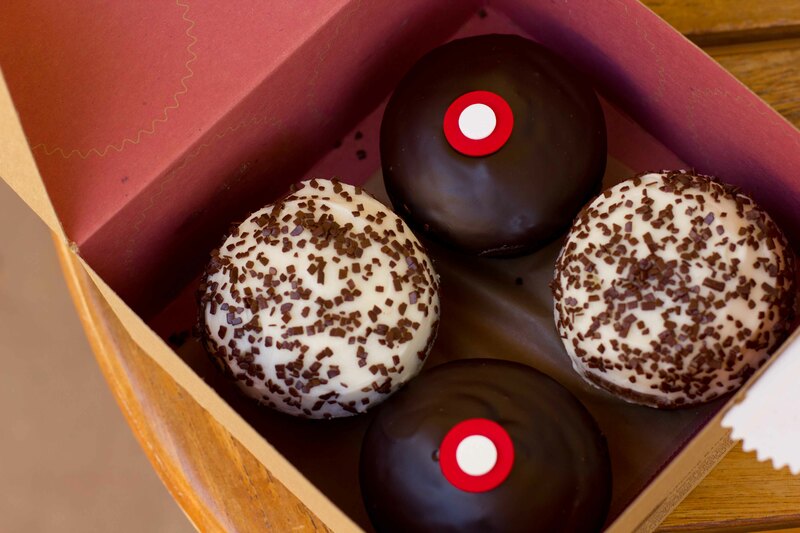 Why not a cupcake (or 2) from Sprinkles? So many flavours to choose from but I know my favourites are Black and White and Chocolate Marshmallow. 6:00pm – Sun’s still out, good excuse to soak up more of the sun. 8:30pm – If anyone asks for a PHX recommendation, the Mission is usually the first place I think of. 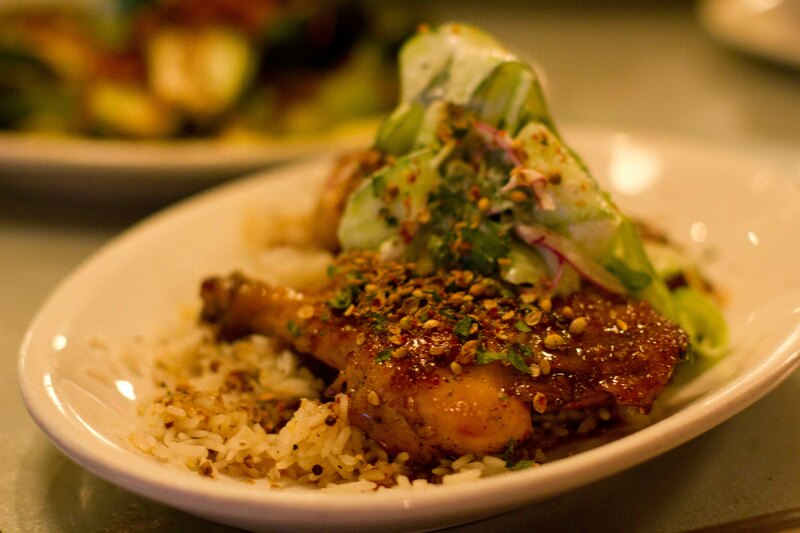 I’ve always enjoyed their modern take on Latin cuisine served in an awesome and fun room. I hadn’t been in over a year, so it was time for a revisit. The room at the Mission is very dark so I couldn’t take any photos. 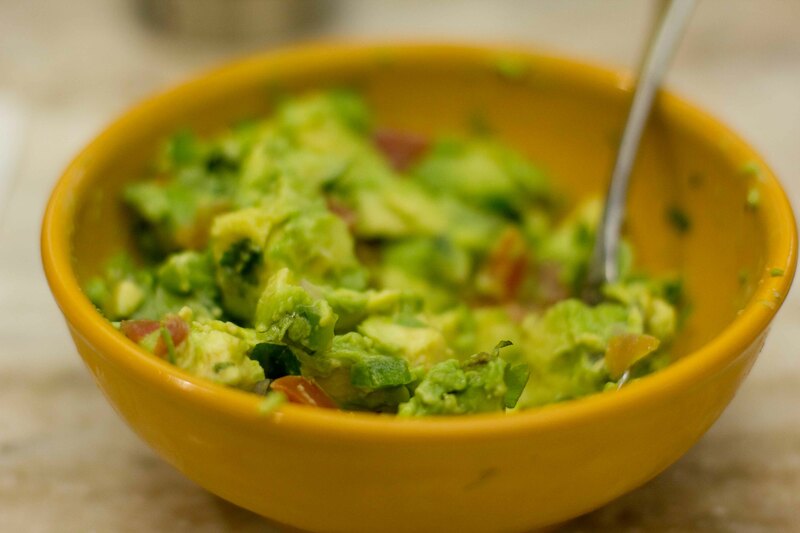 While almost every dish I’ve had there is wonderful, the absolute must-order is the table-side guacamole. In terms of drinks, the Mission margarita is an excellent version of the standard shaken lime, but if you’re feeling a bit adventurous, the Aguacate, an avocado margarita is luxurious. 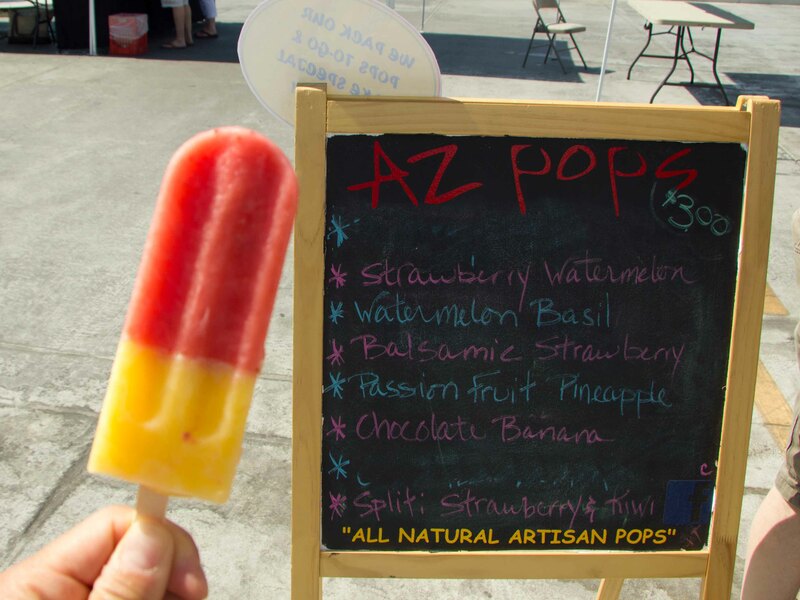 Saturday 9:30am – With my morning workout complete, it was time to check out the Old Town Scottsdale farmer’s market for some breakfast before it got too hot. Ok, who am I kidding, it was already 35ºC (95ºF) = too hot for some. 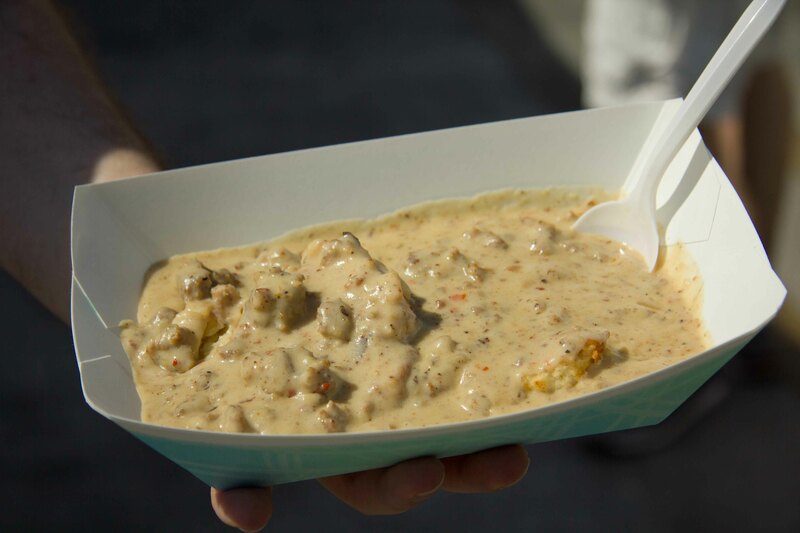 Biscuits smothered in country sausage gravy. 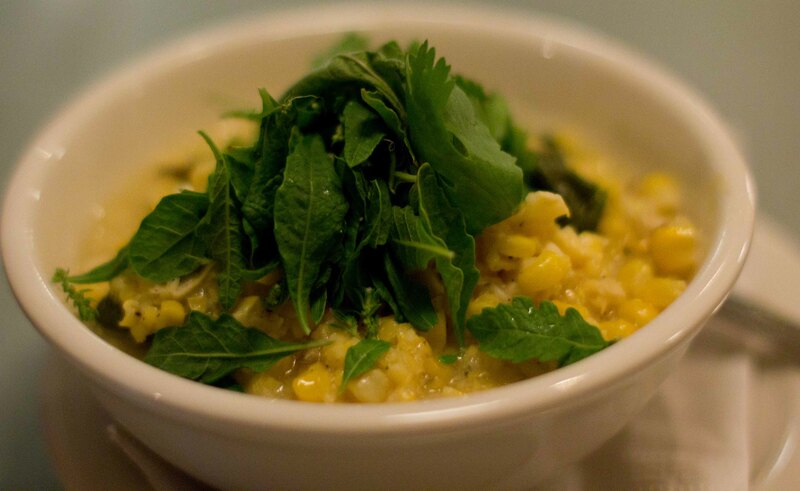 Chicken tamale – never as moist as I want them to be, although this did hit the spot. A popsicle for breakfast? Not usually, but when it’s this hot out, anytime is popsicle time! 12:00pm – I hadn’t fully recovered from the hearty breakfast, but couldn’t pass up the opportunity for another visit to In-N-Out Burger for another Animal style hamburger. This time, I added a side of Animal style fries as well. Because I needed it? Absolutely not, no one needs this many calories in one sitting, but hey when in the Land O’Plenty sometimes you need to over-indulge. 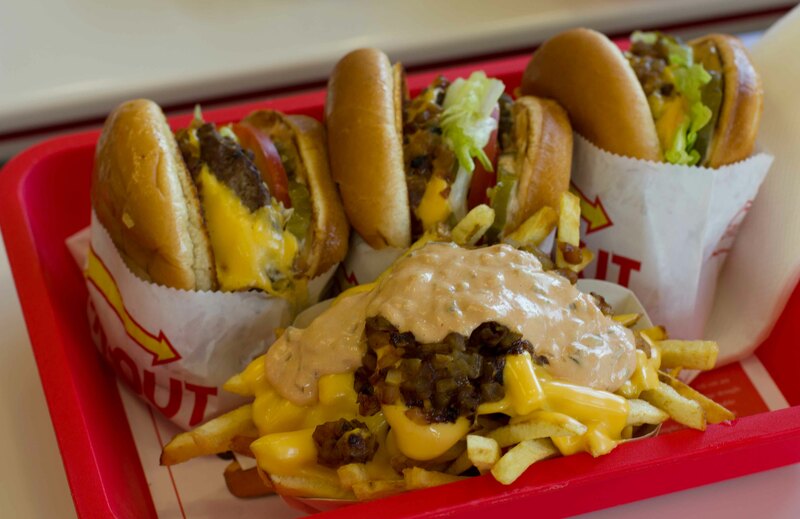 Animal style fries = fries + melted cheese + grilled onions + special sauce. 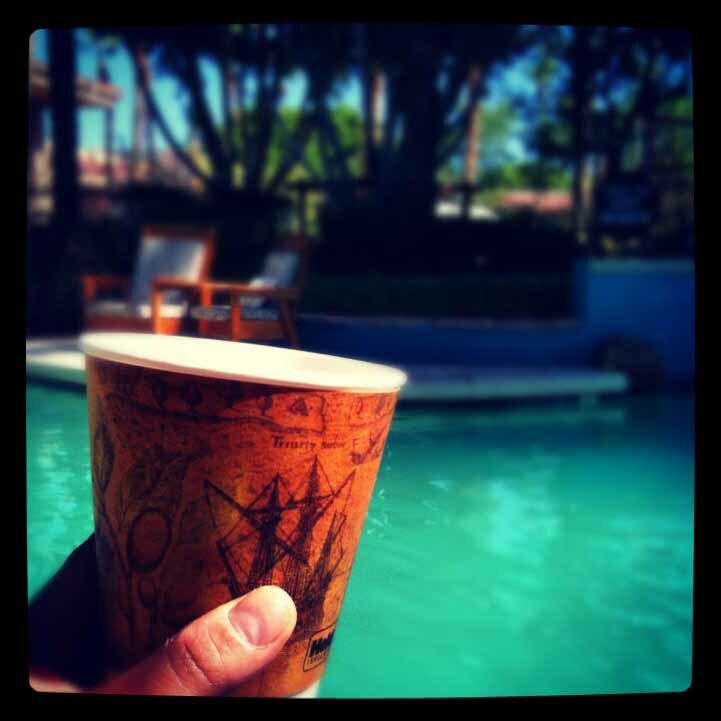 6:00pm – Wine hour at the Firesky! 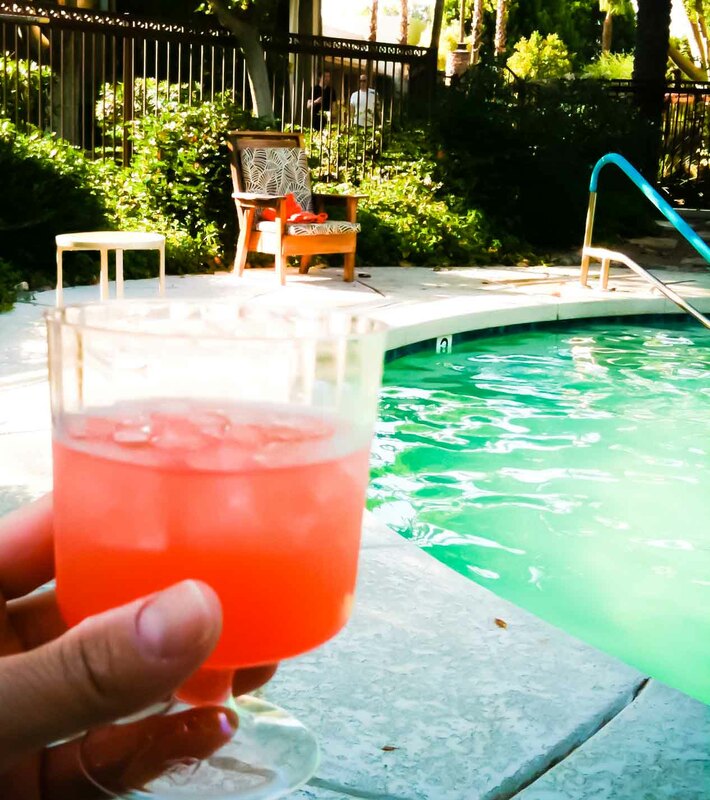 I visited the lounge for my complimentary glass of wine and enjoyed it by the pool. Too hot to enjoy a red wine, it was more of a watermelon sangria kind of happy hour. 8:00pm – An evening out in Scottsdale and it’s still 40ºC (104ºF). It’s not hard for a girl to dress appropriately for a nice evening out while staying cool. For the guys? It’s more challenging, although in Scottsdale, the men have an evening outfit that’s perfectly acceptable in their minds, although anywhere else, you’d probably get disapproving glances. 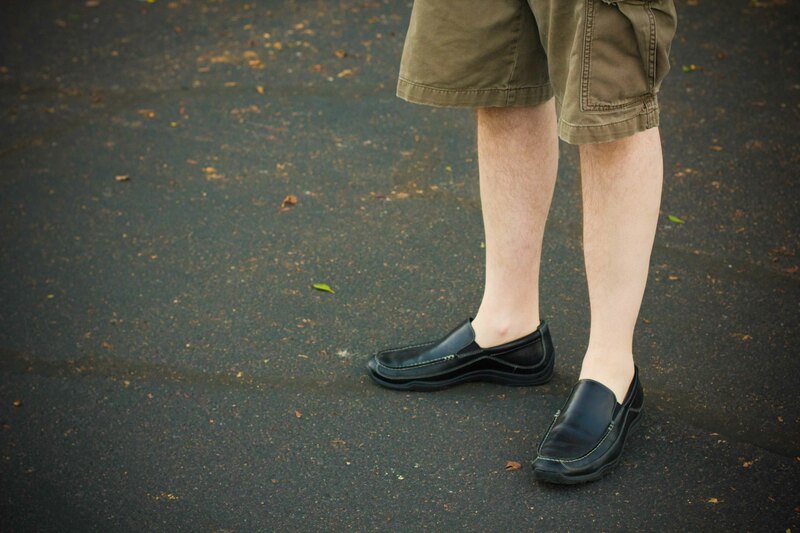 Shorts and black loafers with no socks is perfectly acceptable dinner attire in Phoenix. After my lunch at the Baratin Cafe, I was really excited about dinner at FnB. 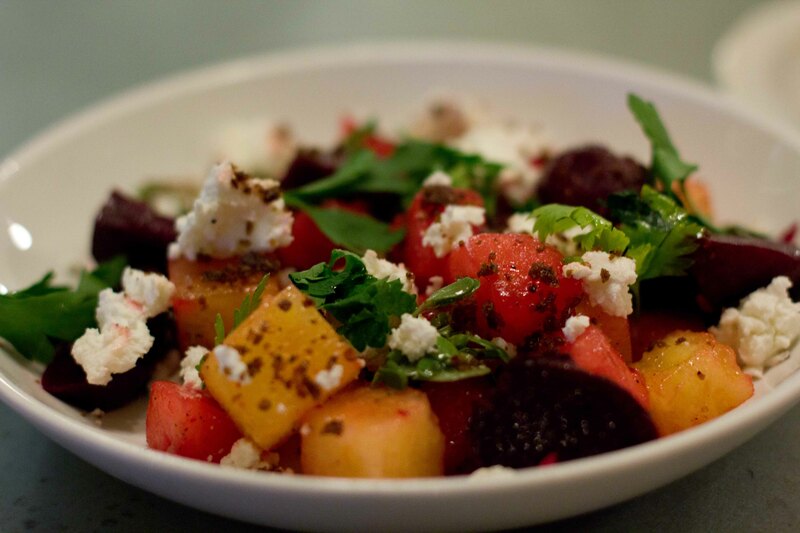 Farm to table is one of my favourite cuisines and chef Charleen Badman is a leader in Phoenix. I wish the server helped us when we ordered as both of our starters were very similar. Other than that, it was a stellar meal. 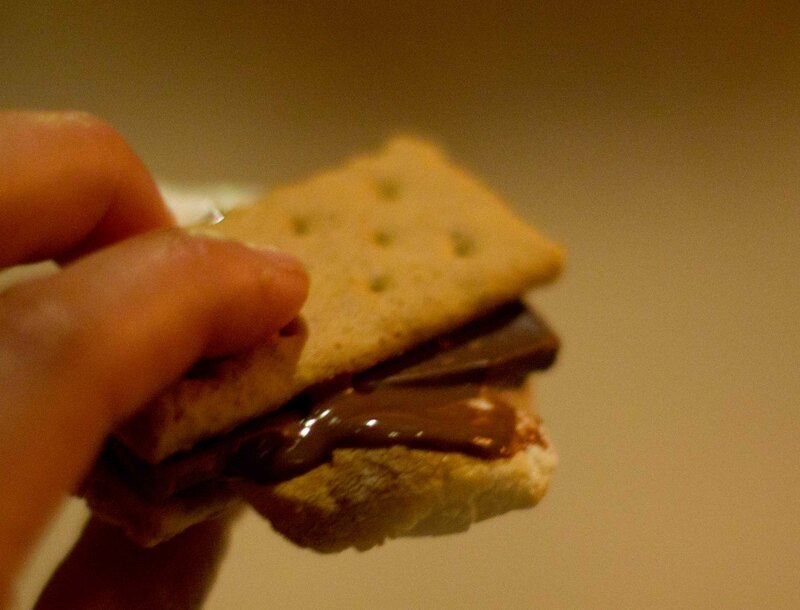 11:00pm – My first S’mores! Another perk courtesy of the Kimpton Hotel group. You can pick up a package at the front desk to make s’mores over the fire pit outside. It may not be the most traditional method of preparation, but my first s’mores experience was awesome! Sunday 7:30am – Another workout complete and it’s time to soak up some sun again. I selected an iced coffee with hazelnut syrup from Firesky’s complimentary coffee bar and enjoyed a morning reading the paper by the pool. 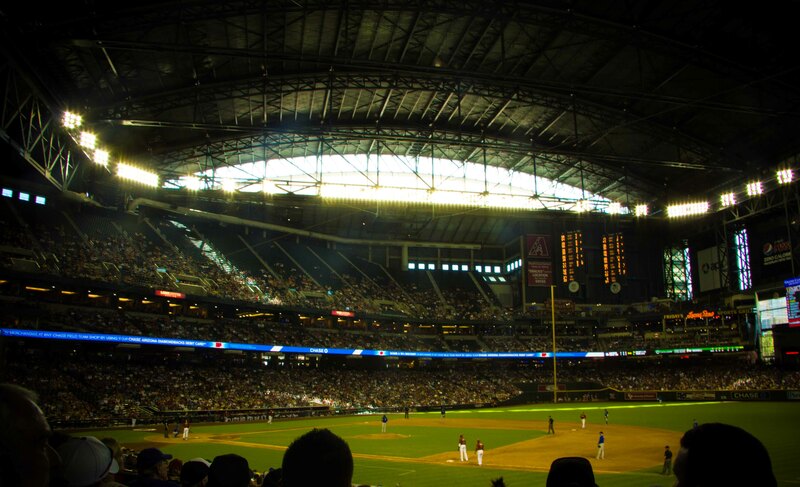 1:10pm – Chicago Cubs vs Arizona Diamondbacks in the air-conditioned Chase Field. It was so odd to go to a sunny day game with the roof closed, but I guess it’s a necessity in the heat. The food at Chase Field was a total disappointment. 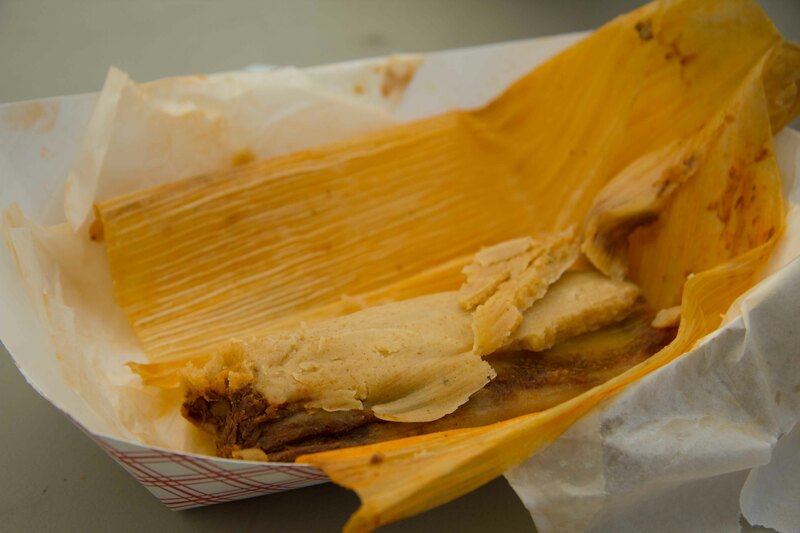 After scouring the whole stadium, the best we could find was a ReyGloria’s tamales, which weren’t bad but not great. 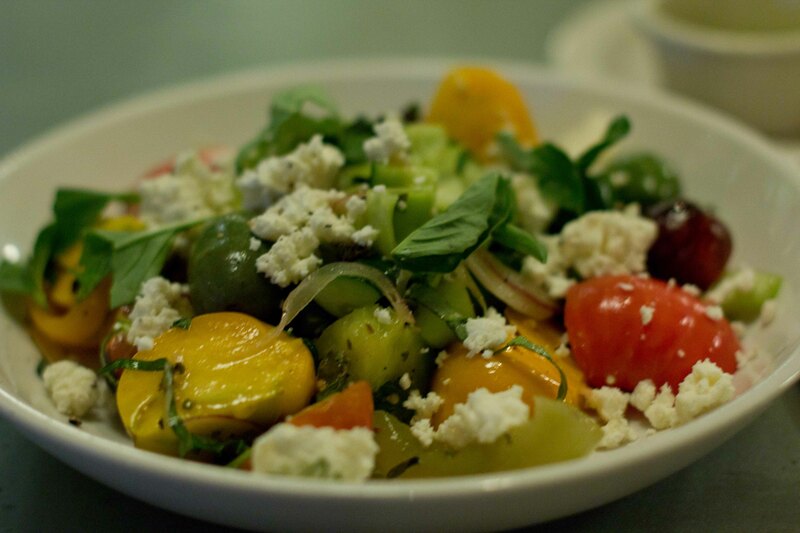 5:30pm – One last meal to have at the PHX Sky Harbour Airport. I’d heard that the Barrio Cafe had opened in the airport so we decided to check it out. Unless you’re flying with Southwest, it’s a long trek to get there inside terminal 4. I was really craving some guacamole by this point so I was excited to get a seat. 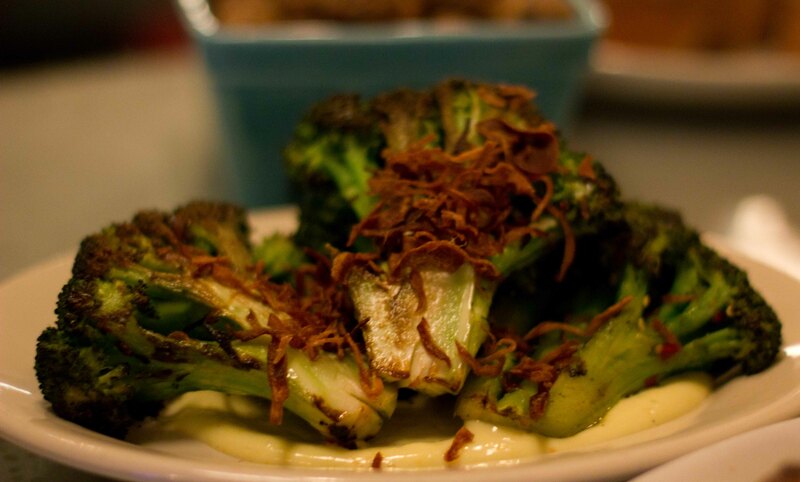 Although it was flavourful, the preparation was sad compared to the original location and the chips were so under-fried, we sent 2 baskets back. 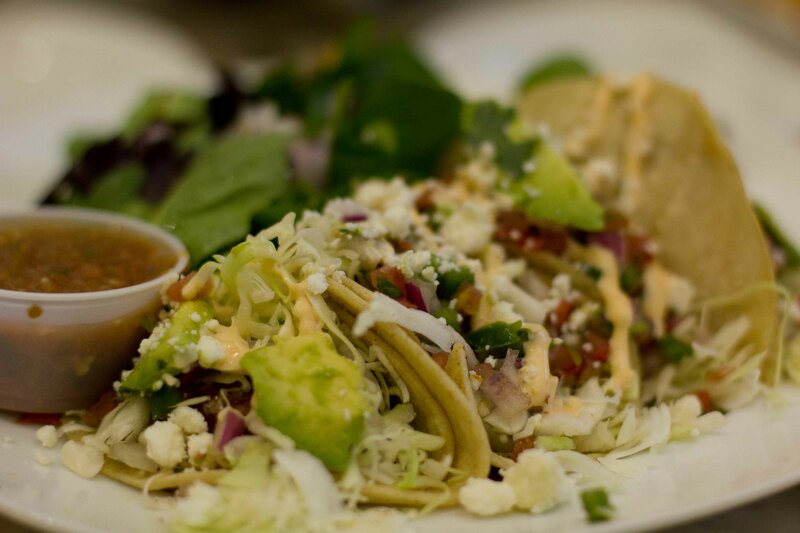 Fish tacos topped with too much stuff to enjoy. I was beginning to feel like this Barrio Cafe catered more to the Tex Mex crowd. 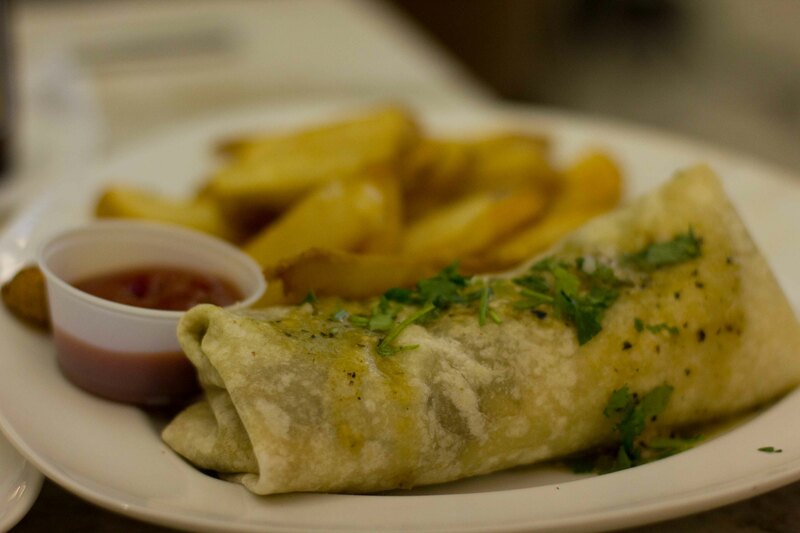 Burrito served with fries. Like I said, Tex Mex. If you’re not comparing the Barrio Cafe airport with the original Barrio Cafe, then (for airport food) this meal wasn’t that bad. Unfortunately we had the original the night before and in a side by side test it didn’t measure up and definitely wasn’t not worth the long walk to find. 2 x 36 hours (or so) of eating in Phoenix complete, it’s time to go back on the straight and narrow at home.